Thread: Happy Birthday Mrs. Shoots! Mrs. Shoots had her somethingeth birthday yesterday...so it had to be lamb! 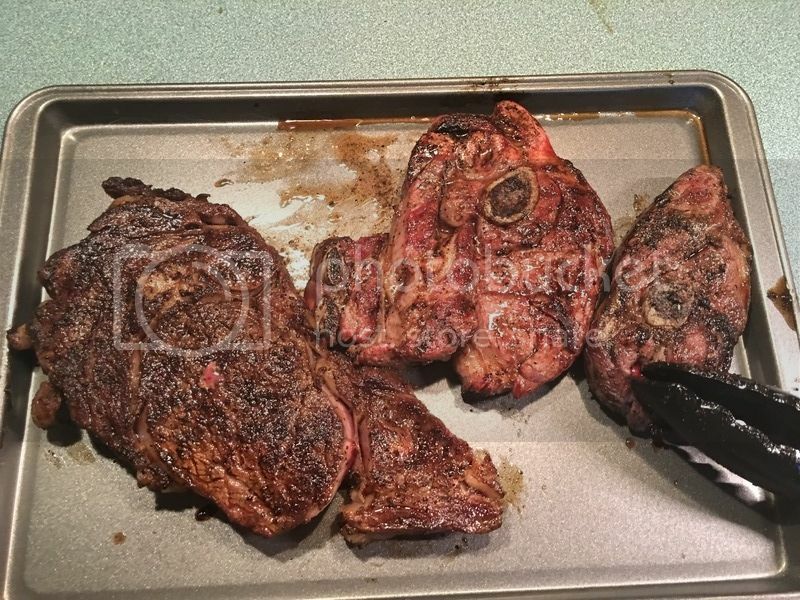 So some lamb shoulder chops had to hit the grill! Of course, the slab to the left ain't lamb...it's mine! I love her and her birthdays! Good Eats for all! 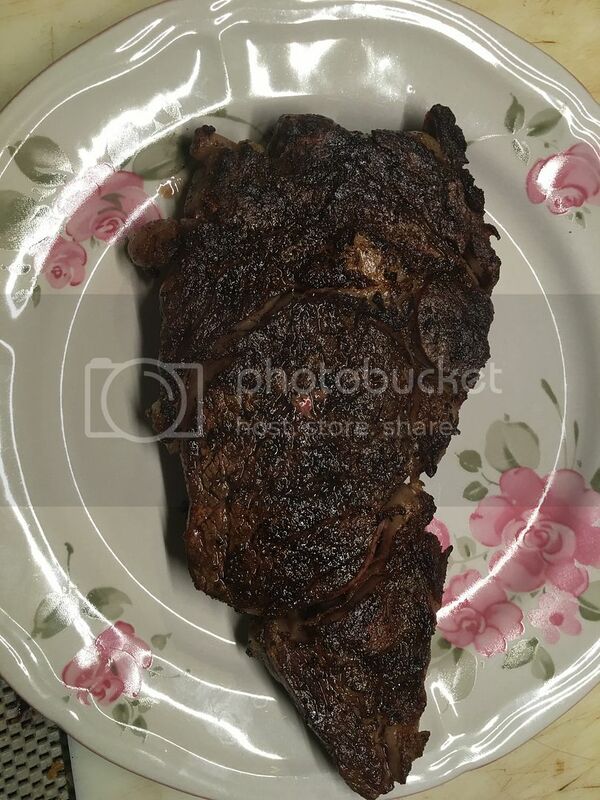 How was the Ribeye? Sounds like a WIN-WIN for you! Happy BDAY Mrs. Shoots!!! Great looking stuff and Happy belated Birthday Mrs. Shoots!